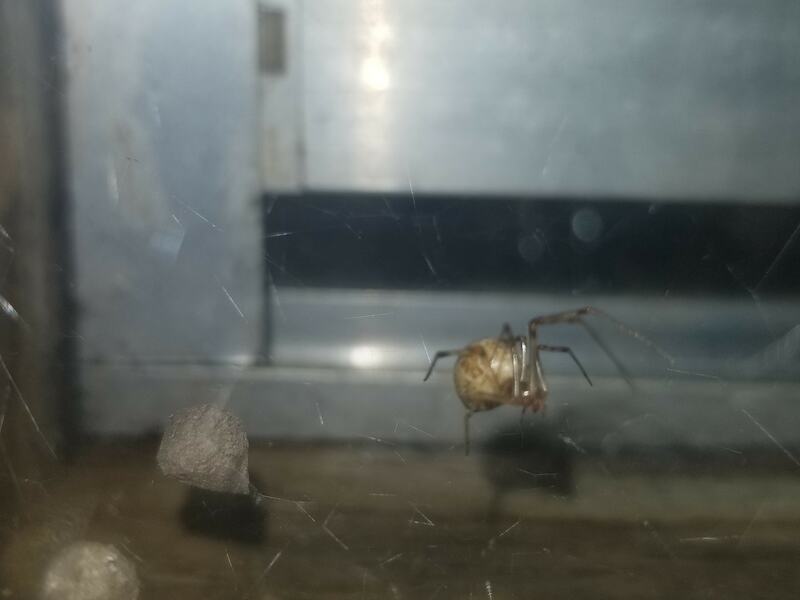 Can someone please identify this spider and the egg sack? It's made it's crazy nest in my kitchen! She might be Parasteatoda tepidariorum. They are in the family Theridiidae of spiders called tangleweb or cobweb spiders, and other common names. The webs look messy and tend to gather dust.